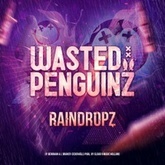 Listen to Wasted Penguinz's top songs like Raindropz, I Miss You, Melancholia on EDM Hunters. The list is updated daily to include all of Wasted Penguinz's latest songs. The songs on this are ordered by number of likes, plays and downloads. Like your favourite songs to make your vote count. What's your #1? Download and listen to Wasted Penguinz's top and latest songs like Take Me Home (Wasted Penguinz Dis Dem Wetness Moist Remix) (FREE RELEASE), Wasted Penguinz - Anxiety (Defqon.1 2011 Edit) (Free Release), Martillo Vago - Por Que No (Wasted Penguinz DJ Tool) for free on EDM Hunters. The songs on this are ordered by number of likes, plays and downloads. Like your favourite songs to make your vote count. What's your #1? 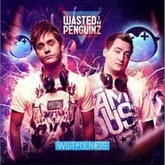 The Wasted Penguinz are a Hardstyle duo from Helsingborg, Sweden. The duo consists of two artists; Pontuz Bergman & Jon Brandt-Cederhäll. They began producing together in 2008, after meeting each other on a message board, originally being rivals. Pontuz (Teequee) and Jon (Dan-J) first met up late 2006 for the very first time. Before hand, they only had internet contact. Pontuz proposed the idea to meet up for the weekend and produce music together. Up until 2008 Pontuz and Jon were solo artists producing euro dance music which they then decided to start a group producing hardstyle music. 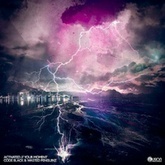 The track 'Scantraxx Rootz' by Headhunterz & Abject aka. 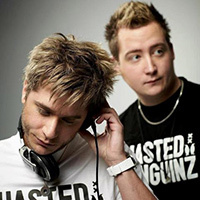 Frontliner inspired Pontuz and Jon to produce hardstyle music and the name 'Wasted Penguinz' was born which came together over brainstorming and beer. 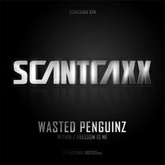 Two years after the group was founded, the Wasted Penguinz were signed to a major Dutch label, Scantraxx in the summer of 2010. 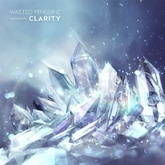 Their first Scantraxx release was on June 18, 2010. 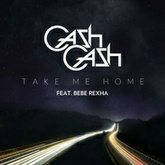 This release contained two tracks, "I'm Free" and "Anxiety", and was released on Scantraxx Silver. Their second release on Scantraxx Silver was in October 2010, containing the tracks "Hate Mondayz" and "Resistance". The image created around their music is centred around consuming large amounts of beer, with their motto/tagline being "Get Wasted N' Do It". 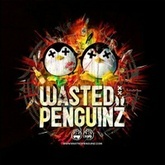 The Wasted Penguinz' YouTube account is used to upload previews, as well as videos of drinking contests & drinking games. 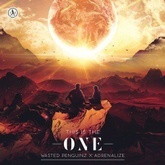 Listen to Wasted Penguinz's top and latest Hard Dance, House, Techno songs, watch videos and discover DJs similar to Wasted Penguinz on EDM Hunters. Like your favourite songs to make your vote count. What's your #1?